I love in-jokey meta references in TV series, and The Flash has a cool one coming up. Not content to cast John Wesley Snipp, the star of the 1990 one-season live-action adaptation Flash, as the father to the new show’s Flash, the producers are bringing back Mark Hamill as James Jesse, the Trickster. 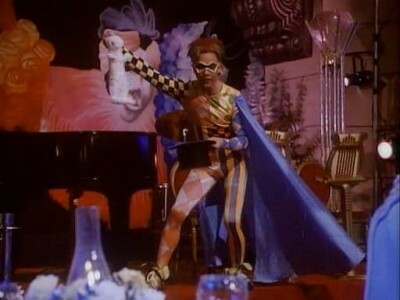 Hamill played the character in a Joker-like fashion, and ended up voicing the Joker in Batman: The Animated Series. But in this series, the Trickster is an “anarchist terrorist con man” in jail for life; he ends up helping the Flash to stop the attacks of a Trickster copycat, a possible reference to the second Trickster from the original comics. I have a feeling Mark Hamill will play this version much straighter, but I’d love if they snuck in a glimpse of that comical clashing costume from the old series.